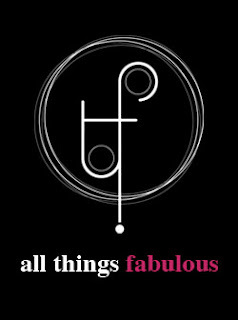 All Things Fabulous: Fabulous Feature: Pupa Milano New Collection! Fabulous Feature: Pupa Milano New Collection! I hope you all had a lovely Easter!! Easter came a bit early for us since Stephanie from Pupa Milano sent us some goodies! We were sent an eyeshadow from the Luminys Silk collection and an eyeliner from their new eyeliner line called Multiplay! Pupa have launched a Limited edition collection called The 50's Dream ranges with natural hues from pinks to browns to peaches and greens, this collection fits this season perfectly! The Multiplay eyeliners are a triple threat! A kajal pencil, eyeliner and eye shadow! This eyeliner comes in 14 colours! This eye shadow retails for 6.89 euro. The Luminys Silk eyeshadows come in a number of shades, in Malta you can find six colours namely 100, 200, 400, 401, 500 and 800. We received two items! We received one of the Luminys Silk eyeshadows in 401 which is a lovely brown shade and the Multiplay eyeliner in 09 which is a black liner! We are currently testing out these products and we will post a review soon! *Disclaimer*- We were sent these products for free, however, we were not paid to write this post. We are not affiliated with the brand in any way.